A slope means soil surface that is inclined and unsupported. In many engineering purposes we need to form earth slopes having adequate safety against stability. As earth consists of soil (or rock,) we can use the term stability of soil mass. We can notice many natural slopes that remain in stable condition i.e. not failed (shear failure) which is stabilized naturally but may fail under vibration or under saturation. Many landslides were reported during earthquake and slope failure due to excessive rainfall. Our concern here is artificial or man-made slopes. When economy is concern we need to establish steepest slopes as they cost minimum. When safety issue is considered, such steep slopes are usually not stable. As both economy and safety are important in a project, it needs to compromise between them. So we have to provide a slope that is neither too flat nor too steep. 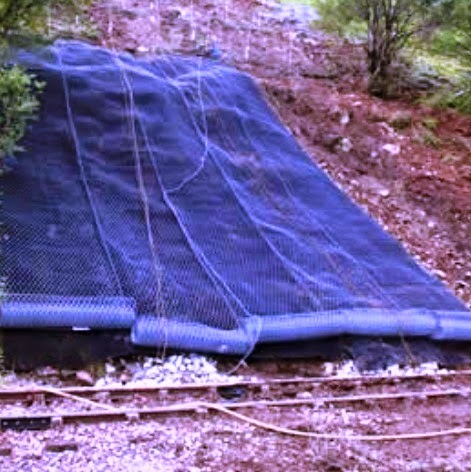 So our aim will be to cut or provide possible steepest slope which is safe and stable. Failure of slope is often take life and property and geotechnical engineers have to evaluate stability of slopes proposed for the project. Different methods are established to check stability and now-a-days more economical slopes can be provided with these tools. Dear reader in our next post we will learn about factors that lead to failure of slopes of soil mass.